The fine folks over at Neighborhoodies sent us a special surprise holiday gift. 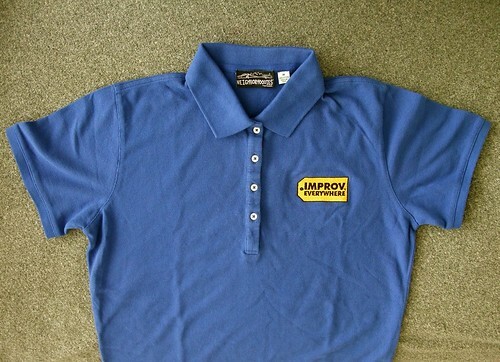 That’s right, one of the last remaining Improv Everywhere Best Buy Blue Polo shirts. The notorious shirt that was at the center of all the recent Cease & Desist situation. Speaking of Neighborhoodies, they always have such great stuff, like their Concept Tees, Readymades and of course their Classic Hoodies.